The Independent Examination Board for law students has received the backing of an MP following a renewed push to have it scrapped. Vice Chairman of Parliament's Subsidiary Legislation Committee Bernard Ahiafor said the exams body is modeled on the concept of the widely-accepted West African Examination Council that oversees senior high school exams. There is a mass clamour for the disbanding of IEB after mass failure of students at the 2017 Bar examination. With 81% failing, the processes of the IEB whose membership still remain anonymous has come under fresh scrutiny. The Independent Examination Board was formed in 2013 to restore integrity in the administration of the exams plagued with leakages. To further deepen its independence, the members of the Independent Examination Board are not officially known and there is no direct contact to any of them. But the fact that it has no legal backing is a favourite weakness cited by those who want it scrapped. 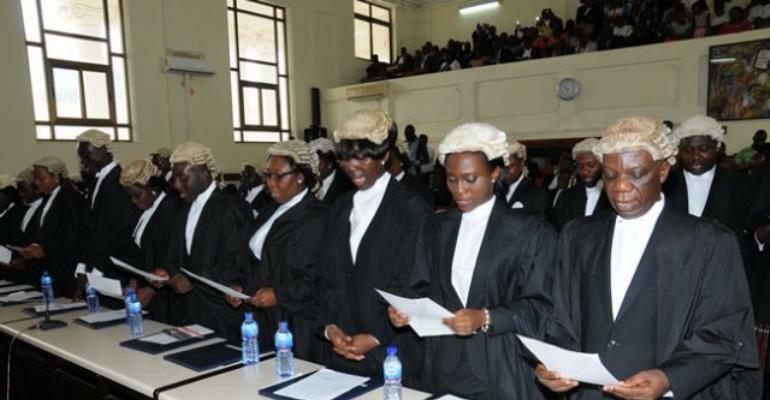 Former Director of the Ghana Law School Ansah- Asare wants a new body constituted to administer the exams. But the Akatsi South NDC MP is however satisfied with the work of the Board and wants to see it get public support to carry out its mandate. He explained teachers who teach their students are not the ones who mark scripts.